With modern technology, accessibility and the efforts of advocacy groups such as Special Needs Group, it’s easier than ever before for individuals with Special Needs to travel. Although these individuals can travel alone, when it comes to cruising, traveling with a companion or group can make their vacations much more enjoyable. Today, those who are cruising with someone with Special Needs can be confident that their travel companion will benefit from ships’ accessible features. Since the inception of the American Disabilities Act over 20 years ago, the travel industry, including cruise ships, has continued to make significant changes to make travel more accessible. consider when booking the right cruise/ship for you and your travel companion. For instance, it’s important to note that some destinations and activities will be more accessible than others, and that the level of accessibility will vary from country to country. Be sure to check with the cruise line before you book to determine if you can bring a power chair, scooter or wheelchair ashore at every port, especially if the ship will be tendering. Travelers with Special Needs can consider renting Special Needs equipment, which will conveniently be ready in their stateroom upon arrival. From wheelchairs and mobility scooters to oxygen, Special Needs Group offers a wide variety of high-quality rental equipment available at over 135 ports in 30 countries around the world. To make the planning process much easier, consider working with a Special Needs Group Certified Accessible Travel Advocate™. These travel professionals have the critical knowledge, skills and resources to help their clients with Special Needs find the right ship and plan their entire cruise. To learn more about using a SNG Certified Accessible Travel Advocate, simply click here or call 1.800.513.4515. · Select the right stateroom for you. Consider the possibility of an accessible stateroom for your cruise, but also keep in mind that you should only book an accessible room if absolutely necessary. On any given ship, there are a limited number of accessible staterooms available. If a standard stateroom will suit you/your travel companion’s needs, please leave the accessible rooms for those truly in need. Any type of travel requires planning, but preparations are critical if you’ll be accompanying someone with Special Needs. It’s imperative that these individuals carry identification that lists medical conditions, medications and allergies; medications, an extra charger or batteries for Special Needs equipment, and more. Click herefor detailed information about what to pack when traveling with someone with Special Needs. 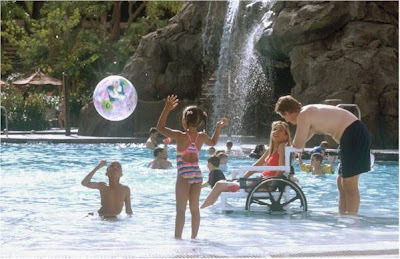 Keep in mind that you may need to allow extra time for embarkation, flights, and/or shore excursions, particularly if you or your cruising companion will be traveling with equipment such as power chairs, wheelchairs or oxygen.